In loudspeaker systems, the value of the damping factor between a particular loudspeaker and a particular amplifier describes the ability of the amplifier to control undesirable movement of the speaker cone near the resonant frequency of the speaker system. It is usually used in the context of low-frequency driver behavior, and especially so in the case of electrodynamic drivers, which use a magnetic motor to generate the forces which move the diaphragm. Speaker diaphragms have mass, and their surroundings have stiffness. Together, these form a resonant system, and the mechanical cone resonance may be excited by electrical signals at audio frequencies. But a driver with a voice coil is also a current generator, since it has a coil attached to the cone and suspension, and that coil is immersed in a magnetic field. For every motion the coil makes, it will generate a current that will be seen by any electrically attached equipment, such as an amplifier. 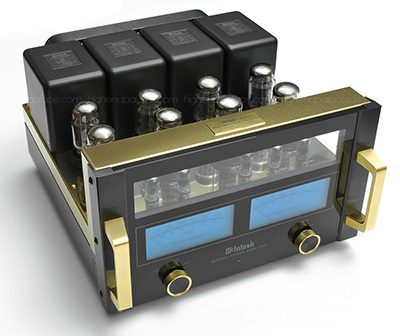 In fact, the amp's output circuitry will be the main electrical load on the "voice coil current generator". If that load has low resistance, the current will be larger and the voice coil will be more strongly forced to decelerate. A high damping factor (which requires low output impedance at the amplifier output) very rapidly damps unwanted cone movements induced by the mechanical resonance of the speaker, acting as the equivalent of a "brake" on the voice coil motion (just as a short circuit across the terminals of a rotary electrical generator will make it very hard to turn). It is generally thought that tighter control of voice coil motion is desirable, as it is believed to contribute to better-quality sound. Please enter two values, the third value will be calculated. Reset form before entering new values.